Paragraph writing offers three benefits. First, mastering the structure of paragraphs will make you a better writer. For other courses you'will often write pieces that are variations on the paragraph, for example, exam answers, summaries, response papers, and brief reports. In addition, paragraphs serve as the basic building blocks of essays, the most common form of college writing. The basic structure of the traditional paragraph, with its emphasis on a clear point and well-organized logical support, will help you write effective essays and almost every kind of paper that you will have to do. Second, writing paragraphs strengthens your skills as a reader and listener. You'll become more aware of the ideas of other writers and speakers and the evidence they provide or fail to provide to support those ideas. Most important, paragraph writing will make you a stronger thinker. Writing a solidly reasoned paragraph requires mental discipline. Creating a paragraph with an overall topic sentence supported by well-reasoned, convincing evidence is more challenging than writing a free-from or expressive paper. Such a paragraph requires you to sort out, think through, and organize ideas carefully. 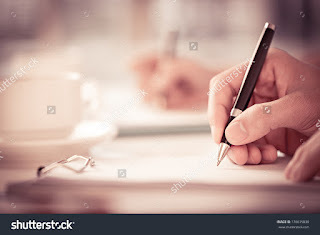 Traditional paragraph writing, in short, will train your mind to think clearly, and that ability will prove to be of value in every phase of your life. 0 Response to "Benefit of Paragraph Writing"